Thearuma well-known K Falls are positioned on the eastern corner of the largest Uganda safari national park (Murchison Fall National Park) and just an estimate of an hour’s drive from the district of Gulu in north-western Uganda. The Beautiful landscape of the park surrounding these falls provides the pride in a broad variety of buffaloes, birds, antelopes, King of the Jungle (lion) monkeys, Leopard, baboons, elephants, and the Uganda Kobs, Giraffes as well as Hartebeest. The endowment surrounding the falls provides maximum birding watching opportunities, game viewing, Nature walks, and hence all these provide maximum enjoyment to visitor who decides to book safaris to Uganda. 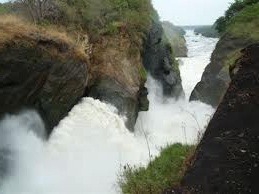 Karuma falls are the roaring waterfalls situated in the wonderful Victoria Nile and it forms one of the most leading and impressive tourist attractions that are always encountered by travellers on safaris and tours in Uganda. The name of the falls was got from the Local notion that Karuma that meant a great spirit which positioned the stones and break the waters of the river. The Karuma Falls are surrounded by a number of natural good looking land forms all the way at the base of the Victoria Nile, within this place, and these has resulted into the waters of the great River Nile to flow with small wave, providing the Nile to look nice with an amazing white form which no visitor should miss to see and have raft in the Nile. The falls are positioned at the area where the main road of Masindi-Gulu crosses the Nile River at an estimate of 110 km in the northeast direction of the Masindi town and only 70 km south of Gulu town. The two districts of Masindi and Gulu are joined by the Karuma Bridge which was constructed in 1963 to assist cotton farmers within the region west Nile. This bridge passes through the massive waterfall while the sprays of the white water move towards Southern Sudan in the northern part of Uganda. Taking Uganda safari tours and specifically to Karuma falls, offer visitor to follow the footsteps of the first explorer John Speke who is said to have moved through the falls during his journey of looking for the source of the mighty Nile. This ancient falls is one of the country’s important land marks which each and every visitor who plans trip to the Pearl of Africa which Uganda must see. The Karuma falls are home to the significant Power Station at Karuma which is about 750 Megawatts hydropower development project that was implemented by partnership between foreign partners alongside the government of Republic of Uganda. During the times of civil unrest caused by the Lord’s Resistance Army also known as the LRA, in Uganda, the falls are sites as hiding grounds that rebels could stage and plan their various attacks to the cars, people, as well as buses, trucks that were travelling in both directions. However today the falls and the country at large is one of the safest tourism destination areas in Africa because the rebels who were disturbing were defeated and pushed away to the rainforests within the Central Republic of Africa and hence when you are on a safari in Uganda you are assured of maximum security and enjoyment with the friendly Ugandans.